WASHINGTON — A staggering account of daily life in the Donald Trump White House — and the campaign that led him there — has unearthed alleged chicanery that could well prolong multiple probes into the president and his inner circle’s alleged relations with Russian operatives linked to the Kremlin. And the explosive revelations from Trump’s former chief strategist Steve Bannon last week opened up new avenues of concern that need to be further investigated, he said. The president’s son, Donald Trump Jr., son-in-law Jared Kushner and campaign manager Paul Manafort met with Natalia Veselnitskaya, allegedly seeking “dirt” on 2016 presidential candidate Hillary Clinton. 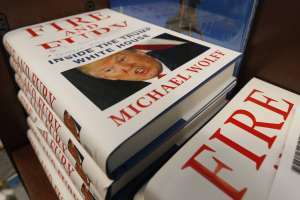 According to the book, Bannon also indicated that other possible criminal, financial acts may draw serious scrutiny from the Department of Justice’s special prosecutor Robert Mueller III. 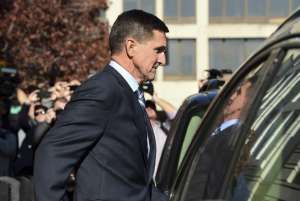 “We’ve seen the president’s senior political adviser both call out the irresponsibility of the June meeting, but also level very serious charges about the president’s financial dealings in terms of money laundering with Russians,” Warner said. Warner said Mueller’s investigative team has more resources and a different mandate than his committee. And as new developments linked to the probe are revealed, the Senate Intelligence Committee might need to call witness for the first time or recall witnesses. During a week where Trump’s international presence was framed by harsh tweets about the DOJ, Pakistan and North Korea, Warner scolded Trump for jeopardizing the credibility of the office of the president. “I see this risk play out when the president engages in a Twitter war with Kim Jong Un over who’s got a bigger nuclear button. That is not presidential and does not breed confidence among our allies or the ability for us to have a worldwide coalition against North Korea,” Warner said. Pakistan also found itself in the line of Trump’s Twitter fire. He said they’ve lied to and deceived the U.S. for more than a decade while receiving more than $30 billion in aid. WTOP reached out to the White House for a response but did not receive a reply. At a Jan. 2 press briefing, press secretary Sarah Sanders was asked about the matter hours after the blistering stream of tweets from Trump. “The president outlined a new strategy for Afghanistan and South Asia earlier this — past year in August. And, at that time, he laid out and said that Pakistan is not fulfilling its obligations. The president is simply following through on a commitment that he made, because this is a president that does what he says he’s going to do. We know that Pakistan can do more to fight terrorism, and we want them to step up and do that,” Sanders said. 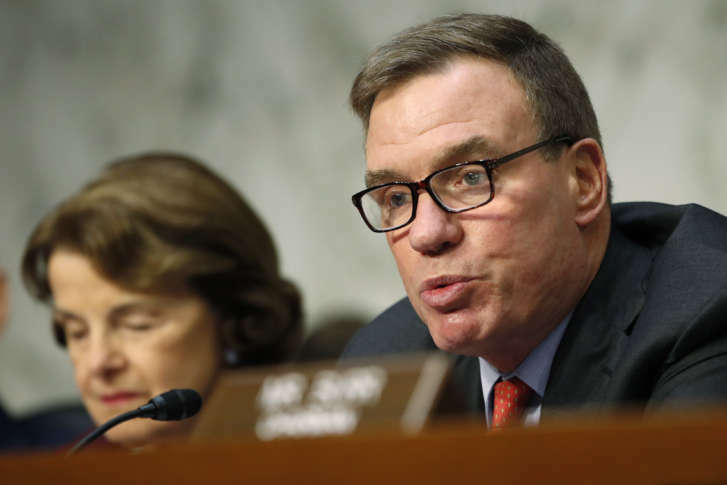 As the image of the U.S. is being globally scrutinized, Warner said he’s deeply troubled after determining that Russian operatives continue to try to undermine the U.S., even as Trump has sought to downplay elements of the intelligence community and the probe into Russian meddling. The latest came in the same Jan. 2 tweet stream, when Trump spoke harshly about the DOJ. The “deep state” reference to the DOJ revived his allegations of conspiratorial motives within the agency for the Russian investigation. The examination, thus far, has led to two guilty pleas. Trump’s former national security adviser Michael Flynn admitted he lied about contact with former Russian Ambassador Sergei Kislyak. Campaign adviser George Papadopoulos also pleaded guilty to lying about contact with the Russian government. Two other members of Trump’s campaign organization have been arrested, including former campaign manager Paul Manafort. He faces 12 charges, including conspiracy against the U.S. While troubled that the U.S. is facing — and may not be prepared for — a new kind of international warfare that replaces bullets, guns and tanks with cyber-bombs and disinformation campaigns, Warner is particularly worried about the undermining of the intelligence community. “When the president chooses to undermine the credibility of the intelligence community because he disagrees with their conclusion about Russian interference, I see huge damage done to our intelligence community, who we have to rely on, whether it’s advice about North Korea, or Iran, or how we go after ISIS,” Warner said. WTOP spoke to several other sources who expect the revelation that White House counsel Don McGahn allegedly tried to persuade Attorney General Jeff Sessions, at the behest of the president, not to recuse himself from the DOJ probe may contribute to a deeper look into possible obstruction of justice.